Continuing the theme of ‘One-Hour’ makes (well, it wasn’t really a theme until just now when I realised that this project also took less than an hour to make), I’ve designed a simple pattern along the lines of one of those big blue Ikea bags. 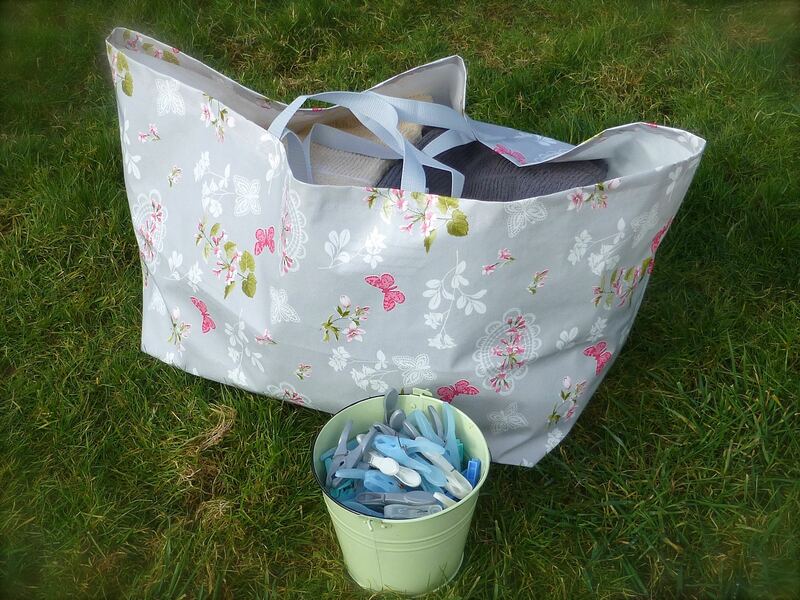 You know the ones; they make great laundry bags, shopping bags, picnic hampers etc., but there’s one major design fault – they’re just so damned ugly! 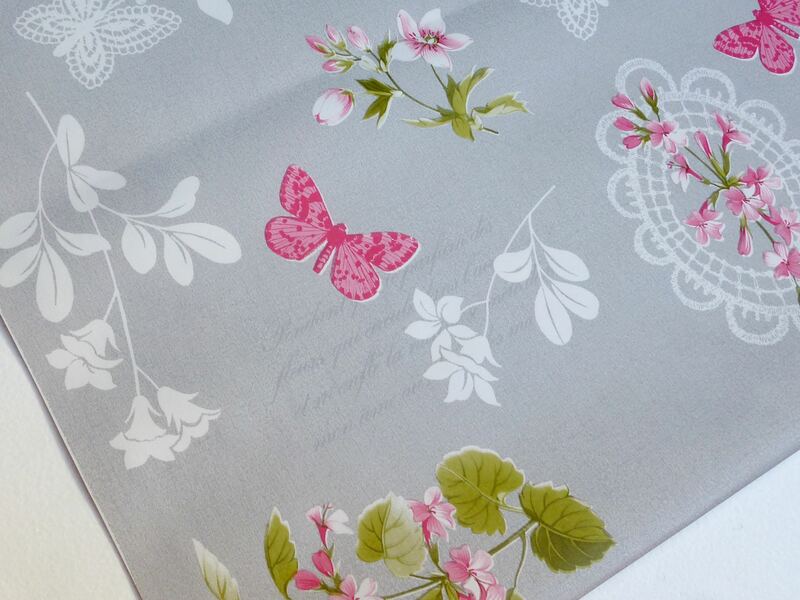 There’s a huge choice of suitable vinyl fabric out there, but I fell in love with this “Butterflies” print and ordered a couple of metres online which turned out to be more than enough. 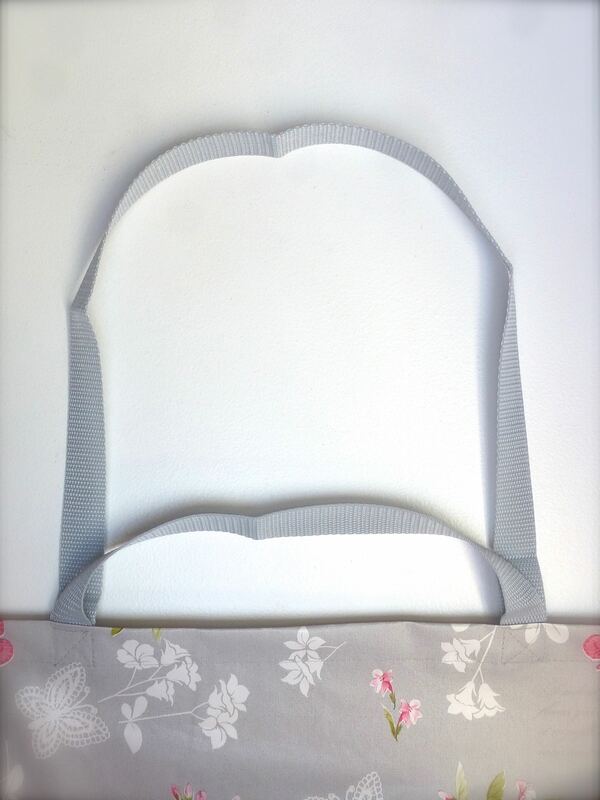 I did come across a tutorial but it involved printing off a pattern on about twenty sheets of A4 paper, piecing it all together, sellotaping and then cutting out, all of which would take longer than actually making the entire bag! 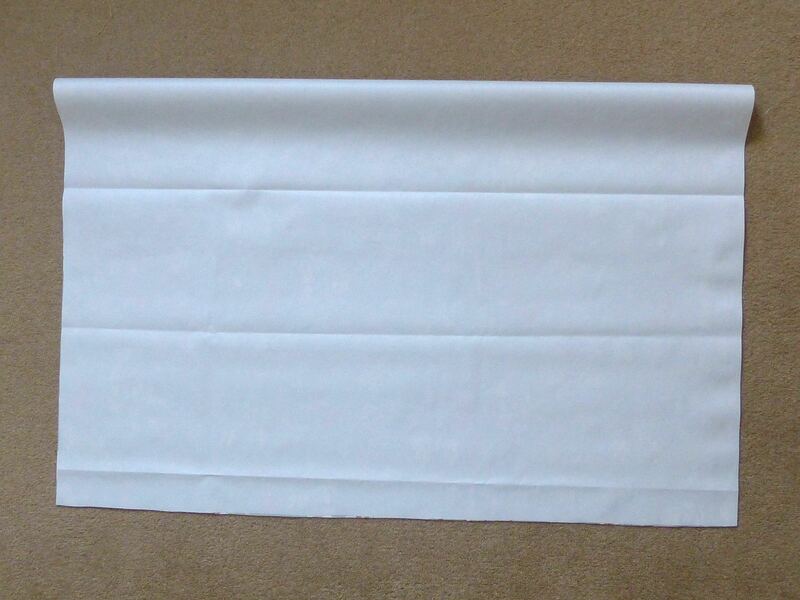 Cut one piece of vinyl fabric 90cm x 120cm. Now, vinyl is notoriously difficult to iron because, basically, it just melts and welds itself to your iron. So you can either buy it from a shop and ask them to roll it for you or put up with the creases which will eventually disappear. 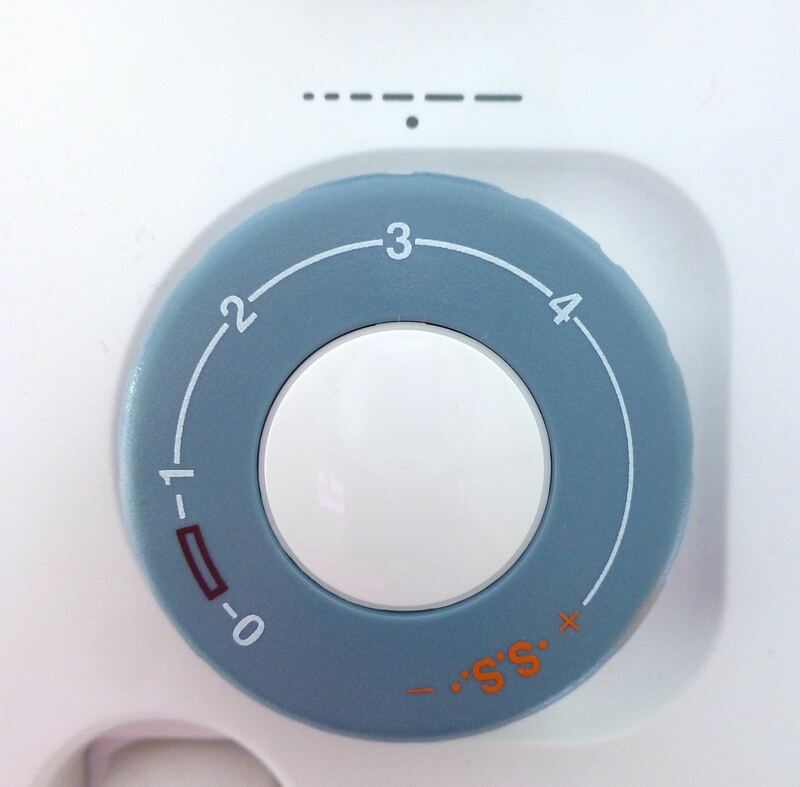 A hairdryer is said to speed up this process. 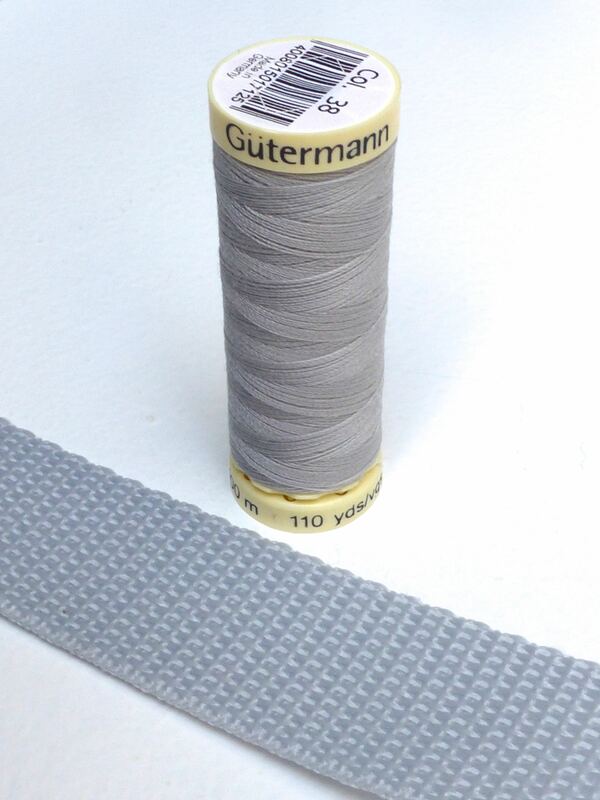 The only other supplies you’ll need are 2 1/2m of 2.5cm polyester webbing and some matching thread. Stitching vinyl needs a little bit of forethought as it can be tricky. 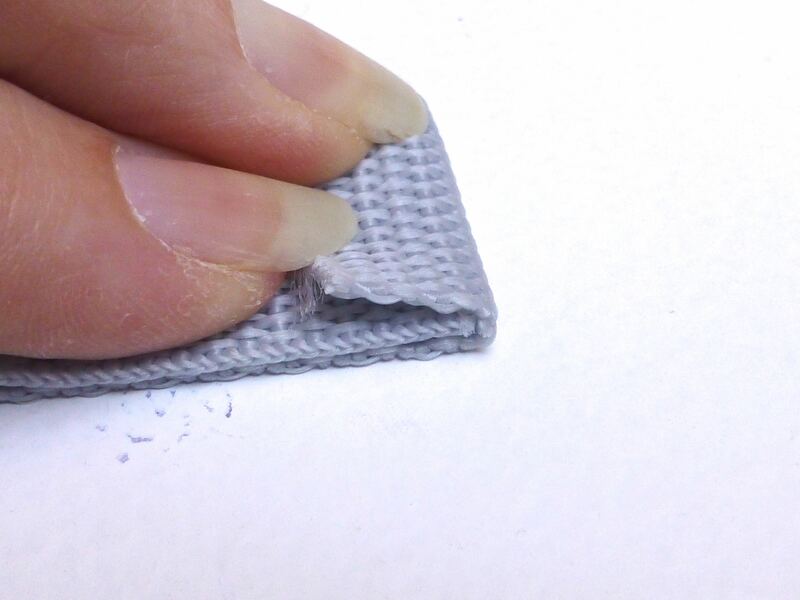 Sewing right sides together is no problem but when top stitching you may need to change to a Teflon coated foot or improvise with masking tape on the bottom of your normal foot. Putting a layer of tissue paper between the machine bed and the vinyl works for the bottom layer, with the added bonus of ripping away easily afterwards. Use clips instead of pins to avoid any tell-tale holes in the vinyl. 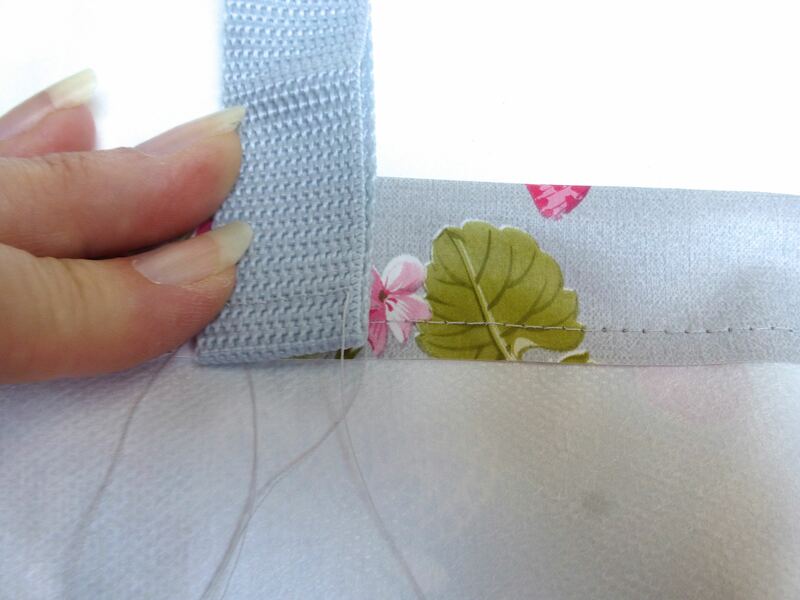 A longer stitch length is used too, as a short stitch can weaken the vinyl and it could rip between the stitches. 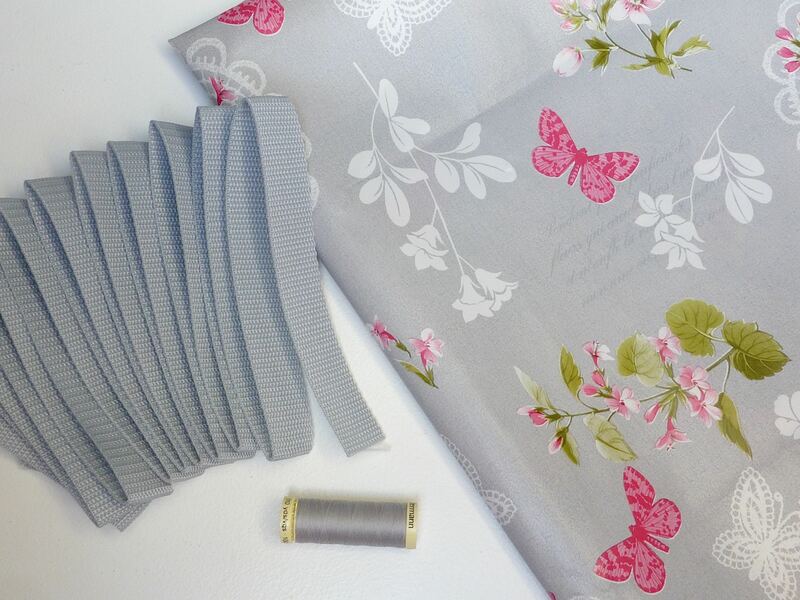 Start by folding your fabric with right sides together aligning the two short edges and sew a 1cm seam along each side, leaving open along the edge opposite the fold. 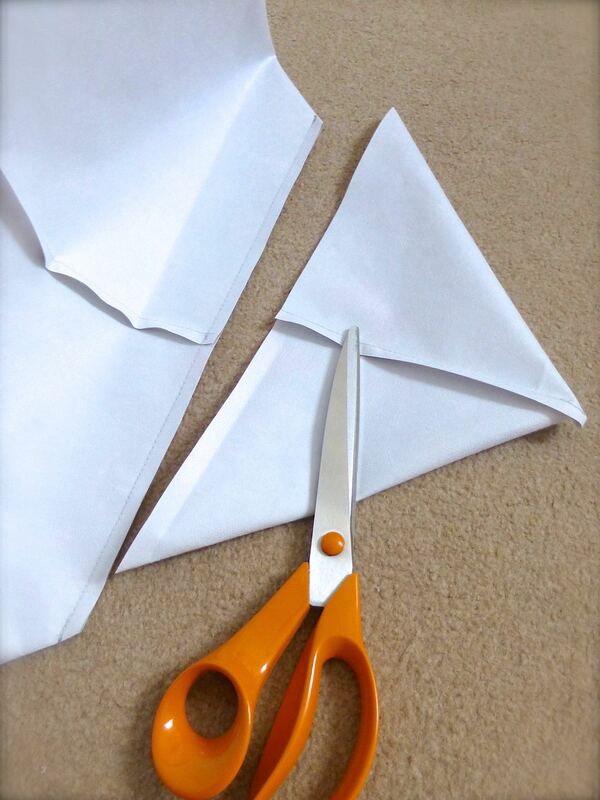 Bring the seam to the centre and lay flat to form a corner as below. 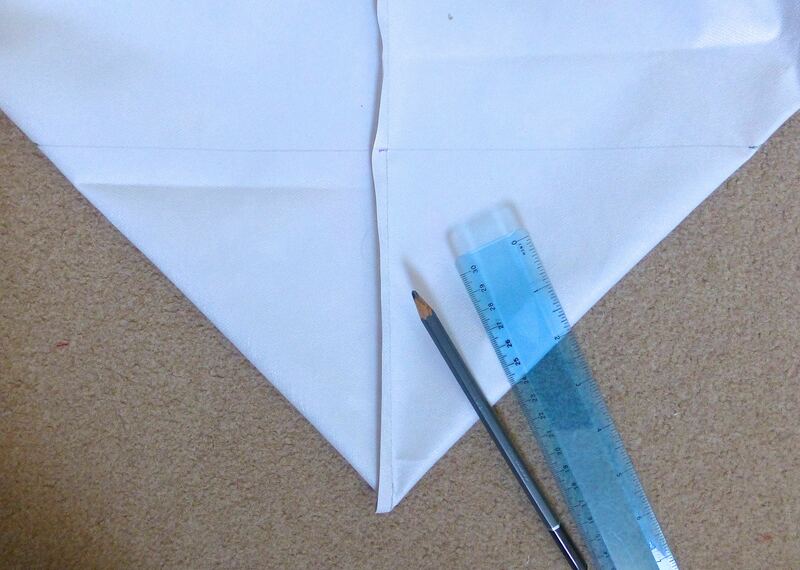 Mark 18cm from the corner along the seam and draw a line all the way across at right angles to the seam as shown. 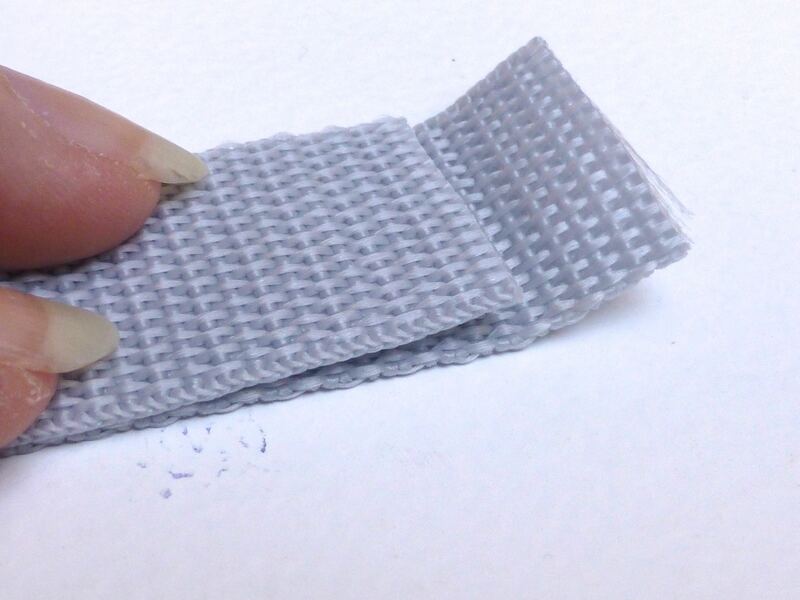 Trim the excess fabric leaving a 1cm allowance. 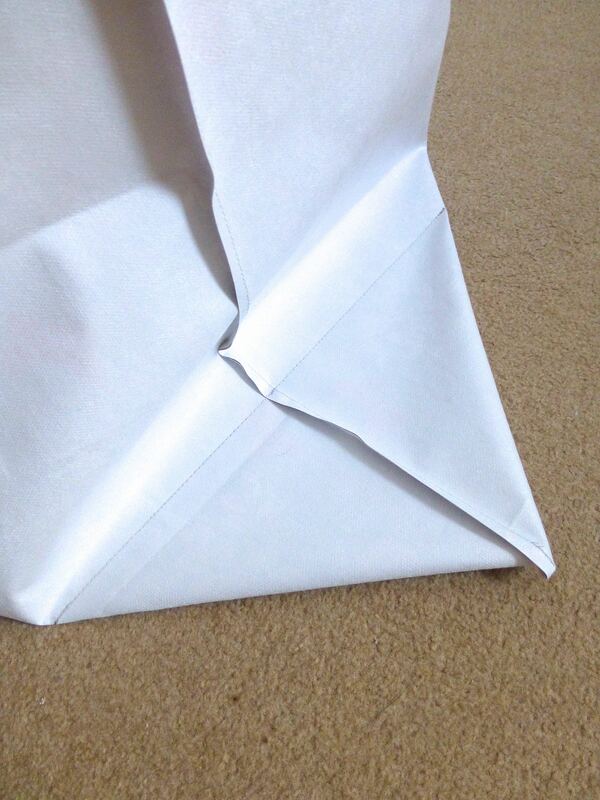 Repeat with the opposite corner, then turn the bag right sides out. 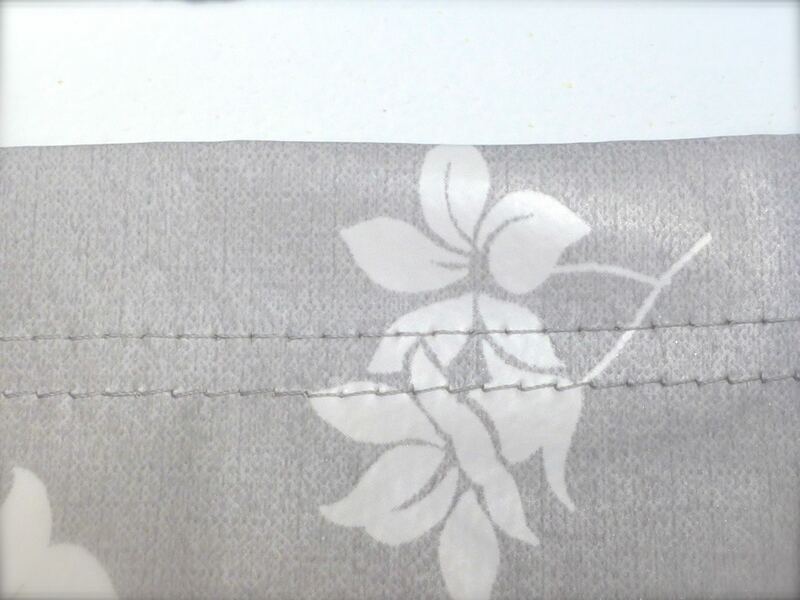 Turn down a 2.5cm hem and stitch close to the raw edge. 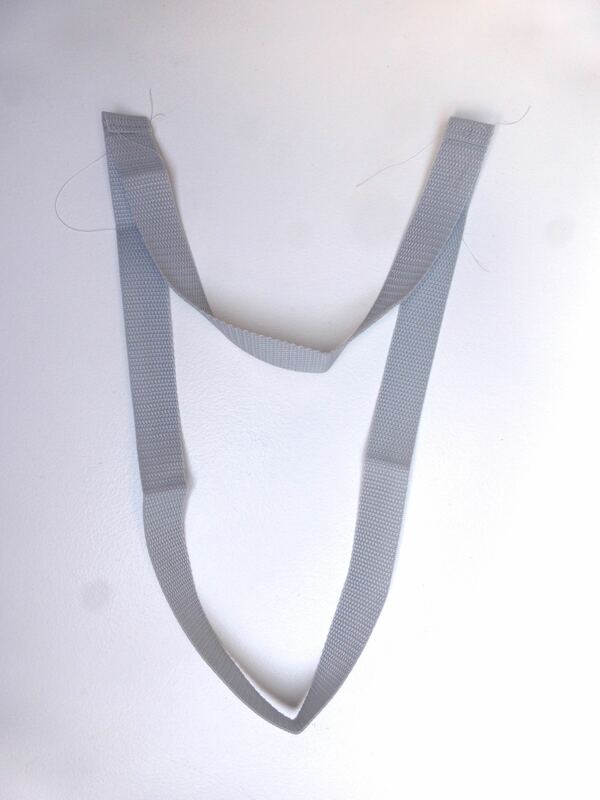 Lay a short length of webbing on top of a longer length about 1cm from the end as shown. 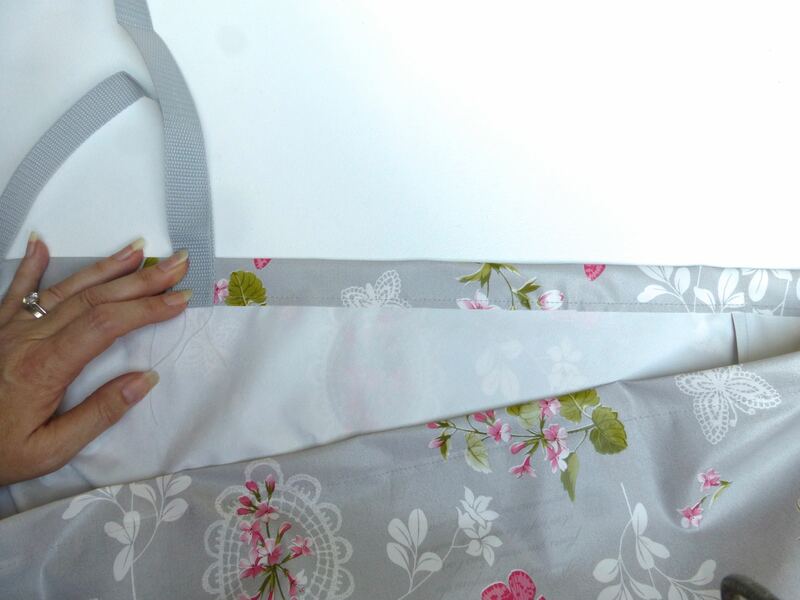 Fold the overhang back over as shown below and tack together through all layers. Repeat with the other ends of the webbing, being careful not to twist it in the process. Make the other set of handles in the same way. 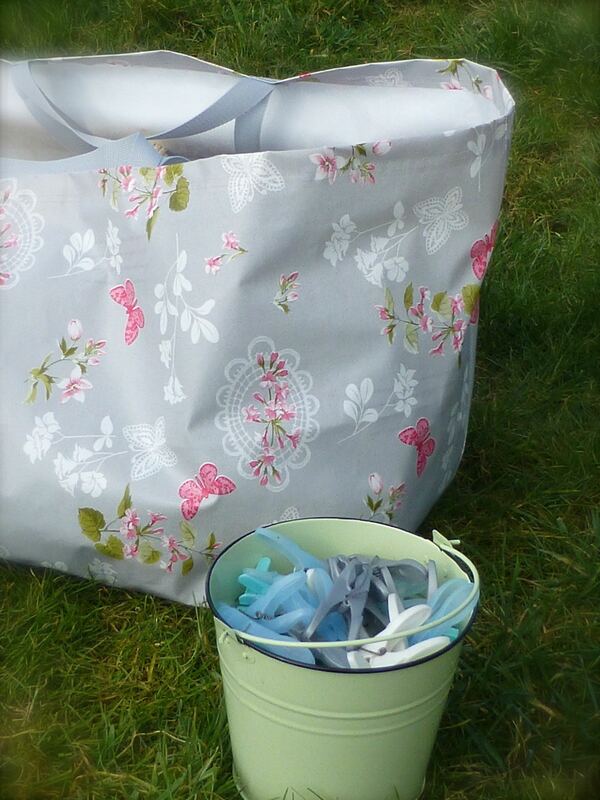 With the raw edges of the handles facing the wrong side of the bag, stitch in place 32cm in from each side seam. 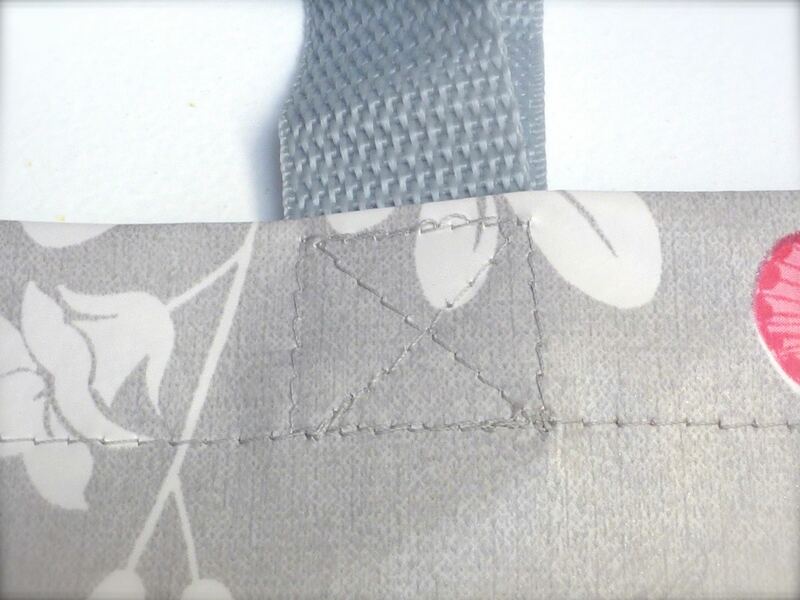 To ensure that there is plenty of strength at the point where the handles join the bag, I stitched a cross within a square as shown in the photo below. Attach the other pair of handles in the same manner. Finish with a second row of top stitching around the entire top edge about 4mm in from the first row. 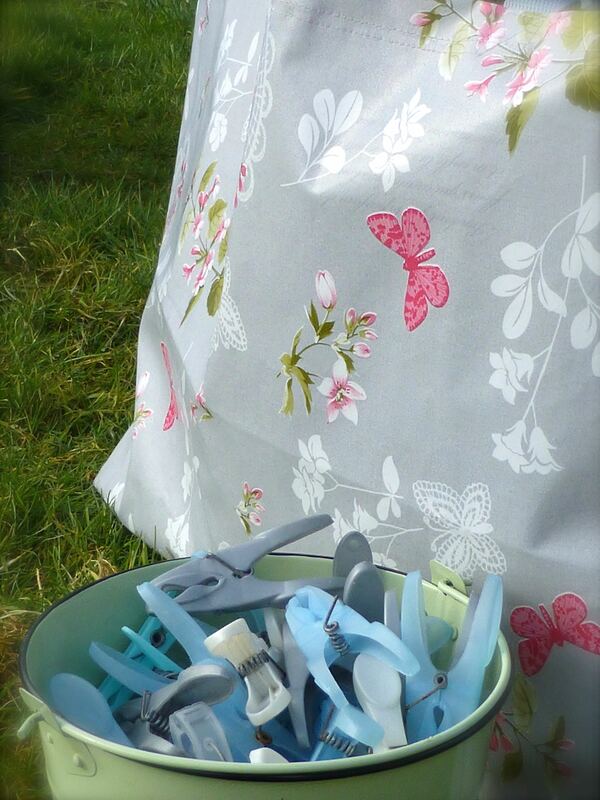 Fill with laundry and go peg your clothes on the line! Well, the girls seem to approve of the stranger in the garden! 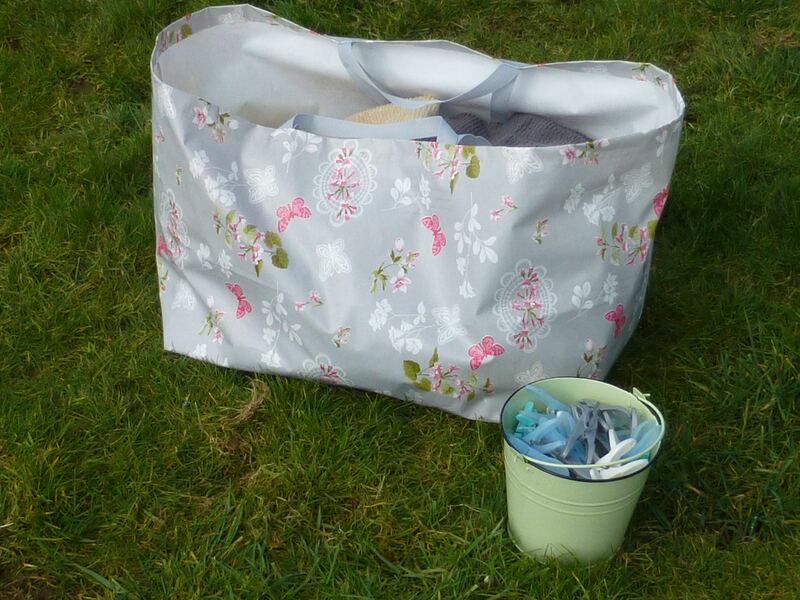 Anyone tempted to have a go at making an Ikea style laundry bag? 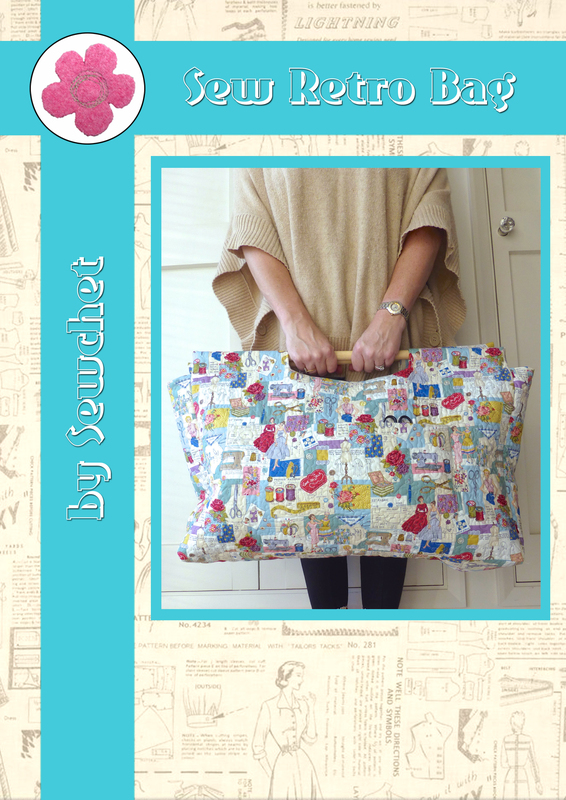 Categories: Sewing, Tutorials | Tags: bag, free, Ikea, Laundry, pattern, tote, Tutorial | Permalink. That would be great. I have a few projects lined up but I will touch basis with you soon, when it’s completed and I will link to this post in my blog. Thank you for the fantastic inspiration!!! I have quote you : “….but there’s one major design fault – they’re just so damned ugly!” This phrase made me laugh to tears!!!! I can’t agree more! Ha ha! They are useful, but dreadfully ugly. Not any more! Me, me, me! 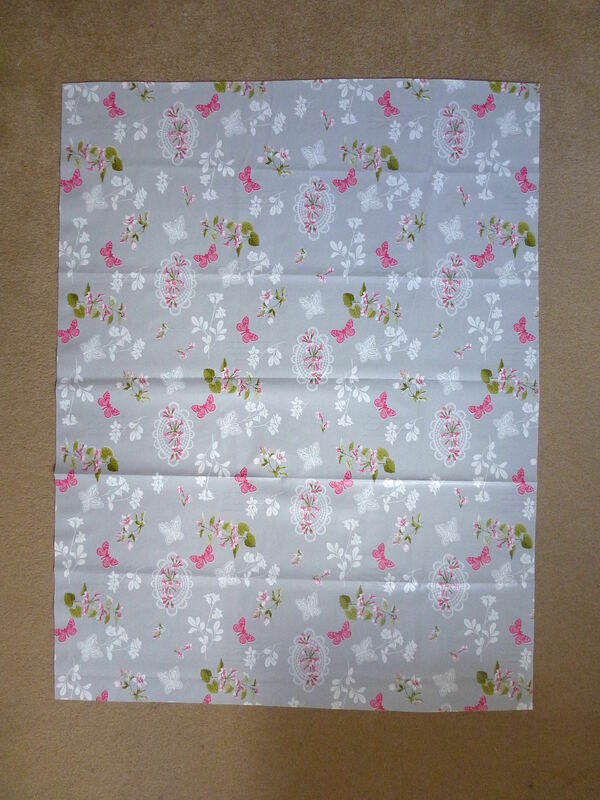 I have an offcut from a PVC tablecloth I am just about to go and measure…..
Yeah, but what’s the fun in buying them when you can make them? I love this! 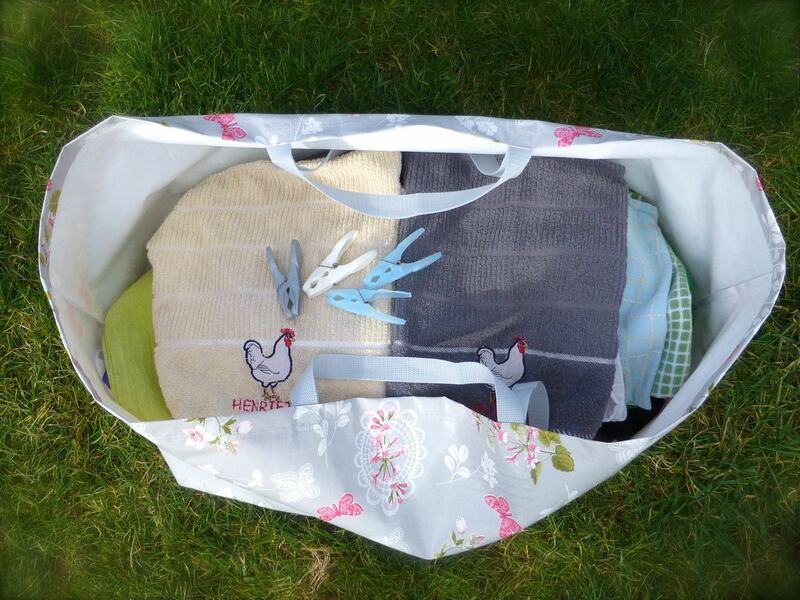 It still baffles me as to why Ikea haven’t made prettier bags! I used mine for everything! I really like the fabric you have used for this. This is a little off topic…but does your dog like the chickens? The old one pays no attention unless they come in the kitchen and eat her food, but the puppy loves nothing better than chasing them round the garden if she can get away with it! 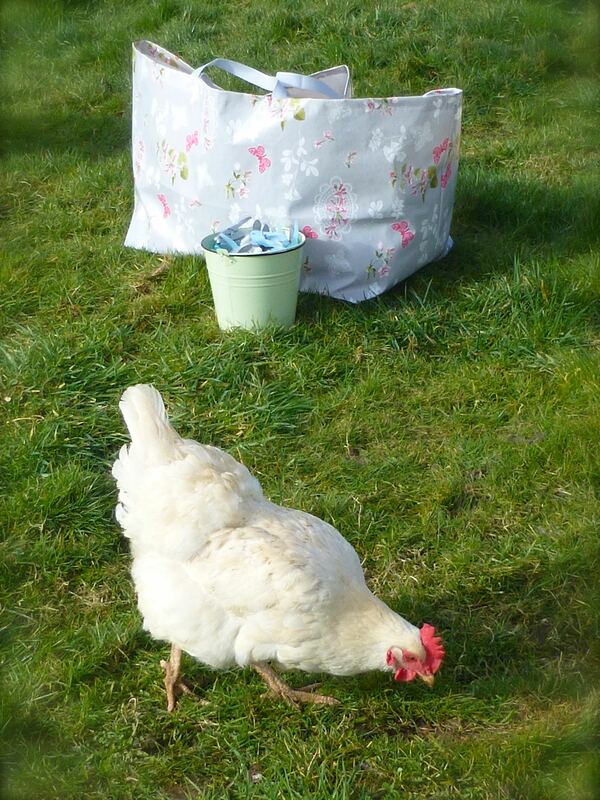 We have one hen in particular that will chase the dogs though! Love it! Definitely tempted to give it a go!! Very useful too. 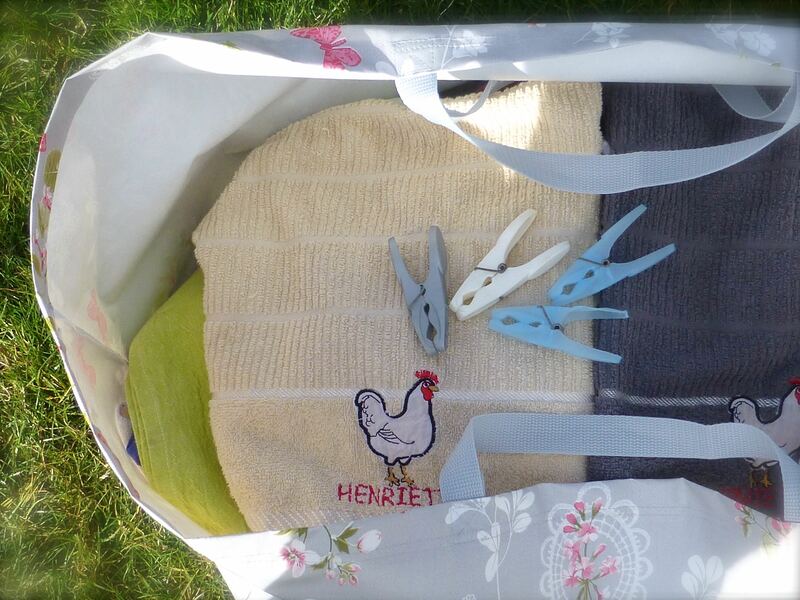 Very useful – we’ve all got at least one Ikea bag lurking somewhere, haven’t we? So much nicer to have a pretty one that doesn’t make that crackling noise either! Sure is! Love the fabric. Great explanation and fabric choice. I have some that I intend to play with soon. A perfect ugly to lovely make! Thanks – it really is so much nicer to look at than those blue ones which seem to be there at every turn in our house! Fabulous! And infinitely prettier than the Ikea bag. Lucky you! My favourite has to be ‘Plump’ by Mrs Moon.co.uk – perfect for chunky projects, it’s the softest yarn ever! Don’t rule out Stylecraft’s acrylic with wool though which is much nicer than their budget range. I also love Drops Andes and Drops Paris Cotton. Happy spending! 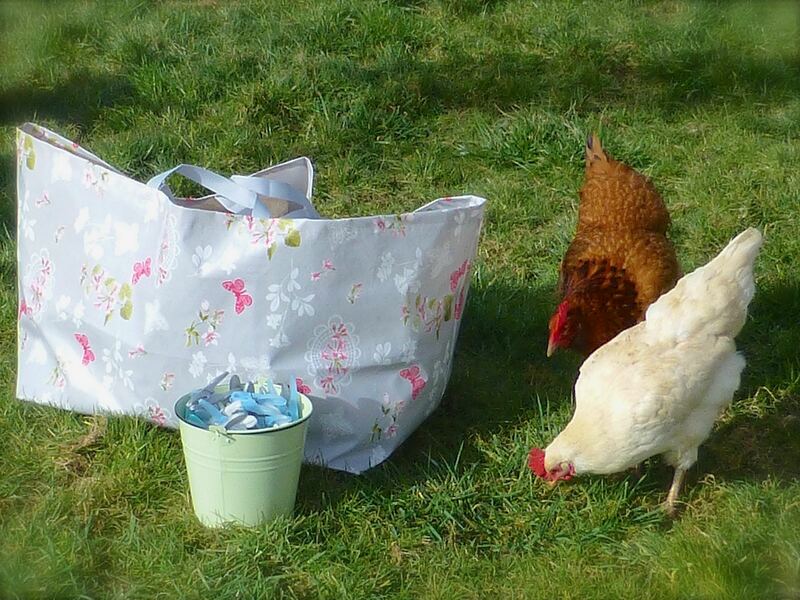 Love “the girls”, and the bag of course! Thanks for the clear directions! I made this using upholstery vinyl, so it’s very sturdy. oh! thank you! so much easier than another tutorial! Great tutorial! I wasn’t looking forward to printing and fooling around with a pattern! Straight cuts just make so much more sense. I am making for my granddaughter heading to college in the fall. She will get great use out of this bag! 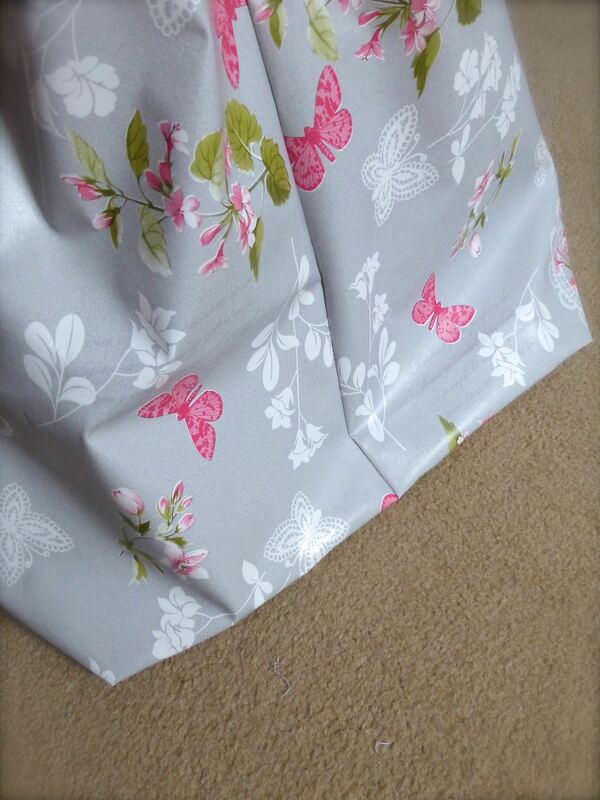 Love how you made it so we don’t have to print and paste a pattern! Thanks so much for sharing this. I was trying to come up with a way to make an easier pattern than the ones I found. You took care of this for me and I love it. Can’t wait to try it myself. Thanks so much. 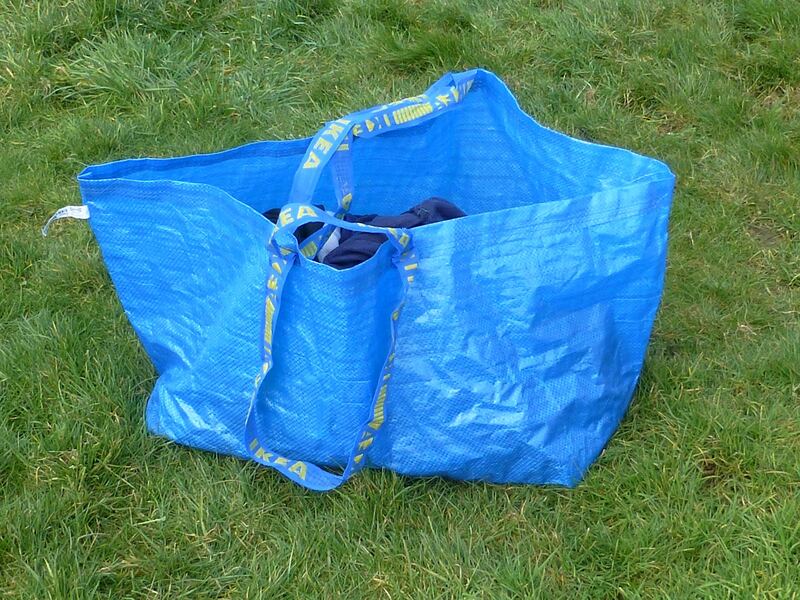 I love my big blue Ikea bags but you’re right, they’re so ugly! I use one for carting things back and forth to my sister’s (we are chronic borrows of each other’s stuff), one for the beach, one for laundry, two I keep in the car for hauling groceries… they have so many uses. I did see another tutorial but yours seems easier and after inspecting one of my bags I notice is yours is actually spot on to the design. I only am just realizing there aren’t 4 sewn side corners. I have always wanted my Ikea bag to have a closure so I think I will make one bag with 2 or 3 snap fasteners. Thank you so much for this tutorial! 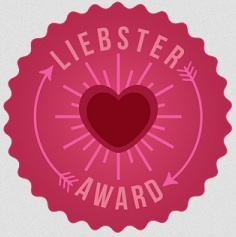 You’re welcome – hope it turns out well for you! I made two of these out of linen to use as laundry bags. Brilliant – such a good idea! I already made 3, thank you very much!